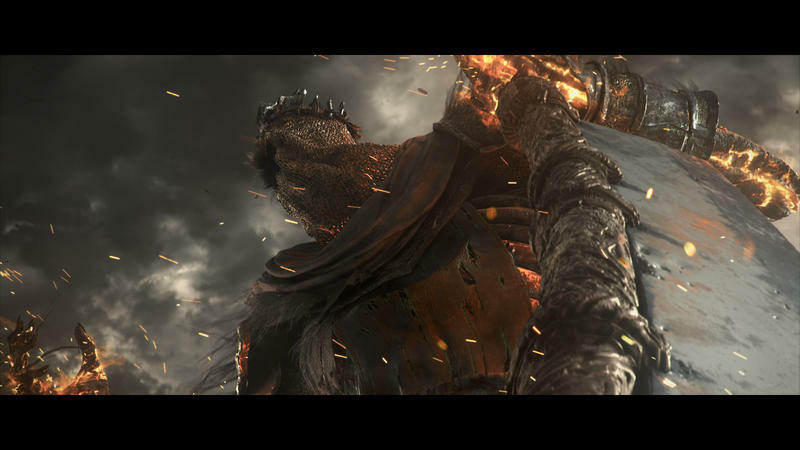 As more information about Dark Souls III starts to roll out, fans of the series will be relieved to see that it is the game they’re hoping for: Dark Souls. 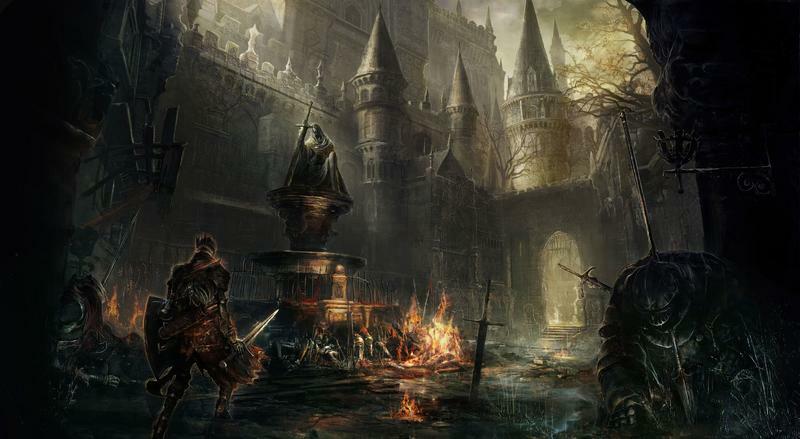 Many fans of Demon’s Souls and Dark Souls had issues of various kinds with both Bloodborne and Dark Souls II. 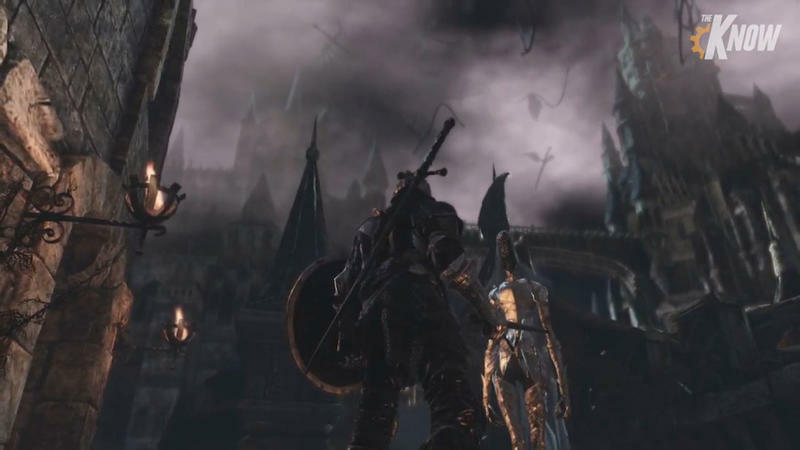 Dark Souls III – the fourth “Souls” game, confusingly – seems to be taking things back to basics, and that was much of the brunt of the presentation we saw this week at E3, hosted by series director and From Software president Hidetaka Miyazaki. 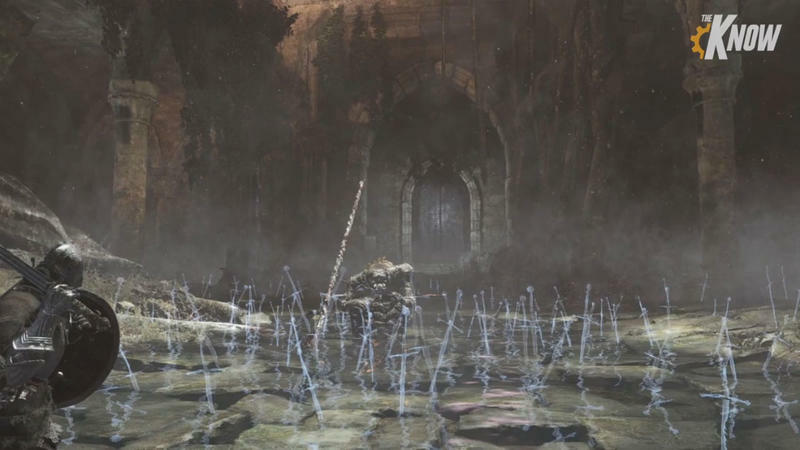 In this combat-heavy presentation, we got a good look at the world of Dark Souls III and the pace of the combat. There were a few questions left hanging in the air, though, that we’re looking forward to hearing more about before too long. Atmosphere was thick. 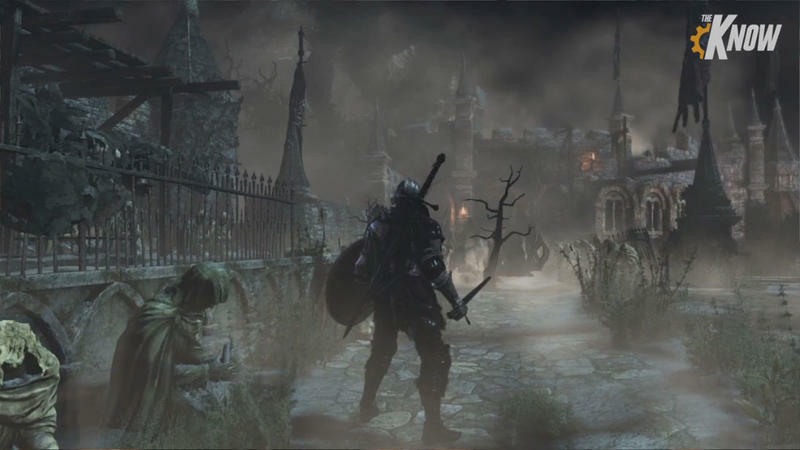 In this alpha demo, we were introduced to an area not unlike the Undead Parish of Dark Souls. 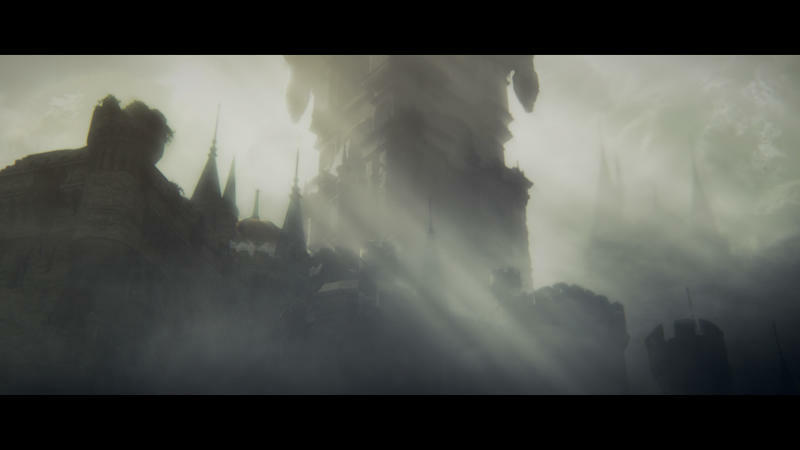 A crumbling but sprawling castle environment, a place that had seen about three generations worth of better days. 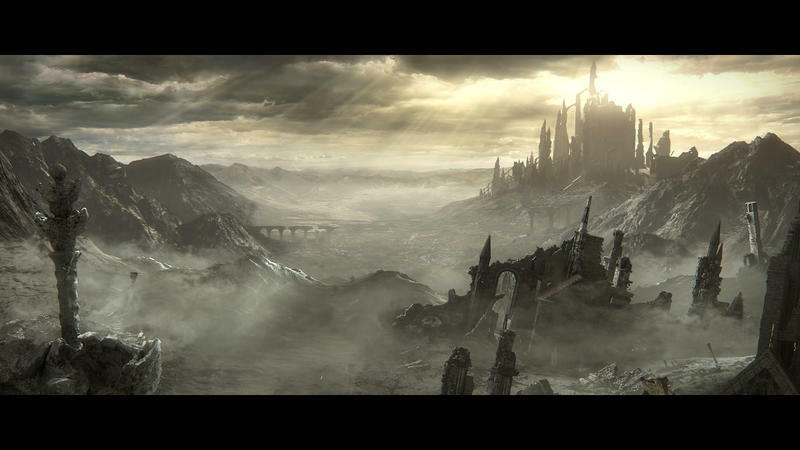 The world of Dark Souls III is one where the sun is dying. 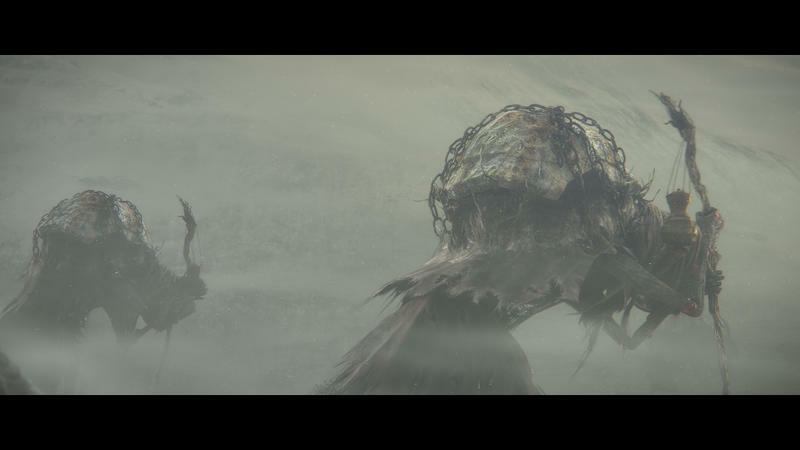 “Withered beauty” is the terminology Miyazaki used to describe the entire, cohesive look that defines the game. 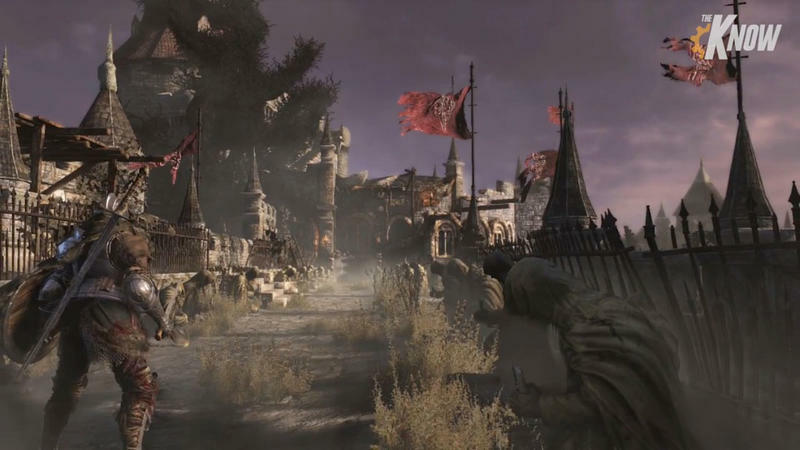 The castle is lined with long-dead trees topped with sun-baked corpses reaching desperately for the sun. 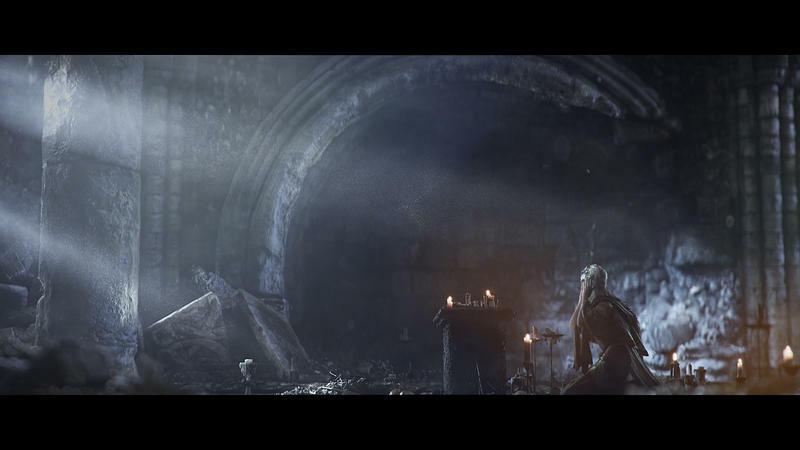 Around them, undead kneel in worship, uninterested in the player. 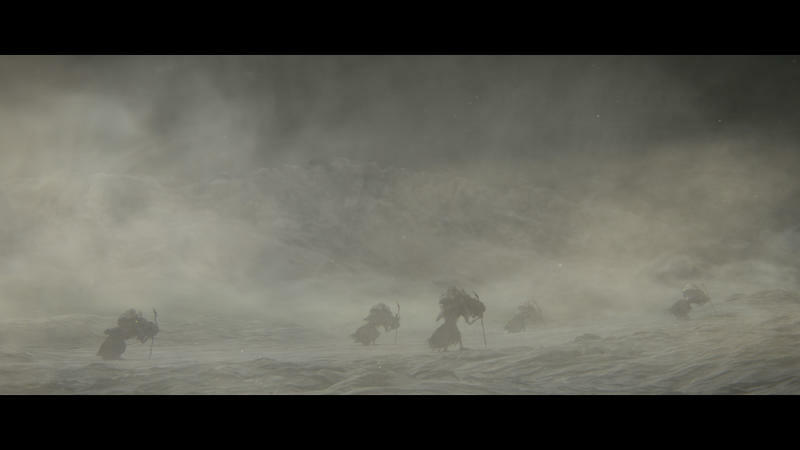 Lighting and particles effects help drive the withered beauty look that much more. 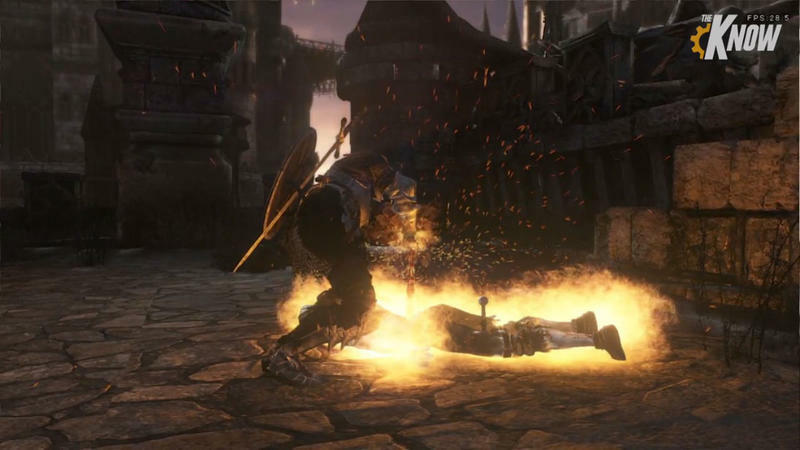 The player model’s tattered cape glowed with dying embers. 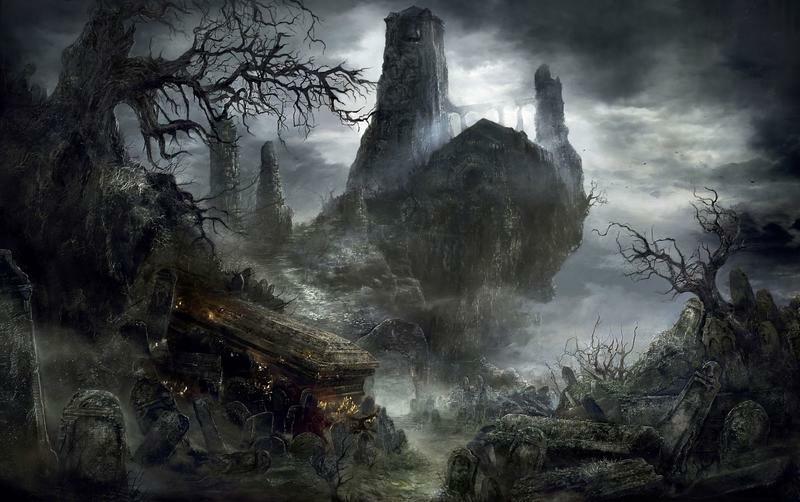 A dead dragon, still gripping the castle it once protected – or threatened – lost pieces of its ashen corpse into the wind. 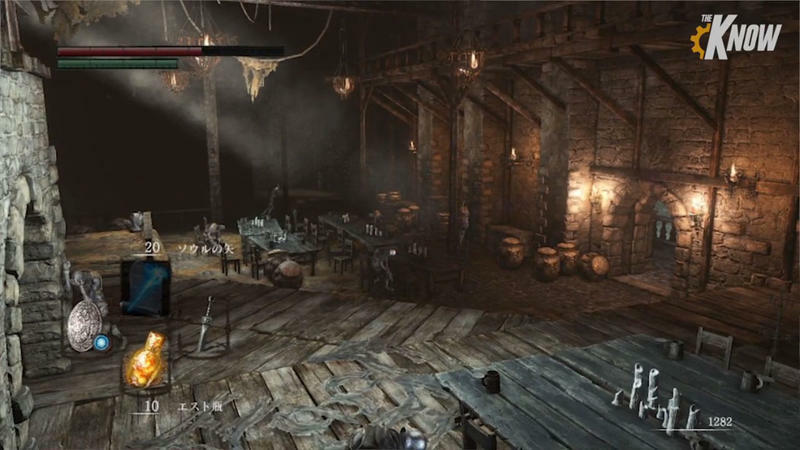 We only saw a bit of one area, but Miyazaki addressed the concern about the Dark Souls II world being too much of a hub sprawling out to a series of zones versus the honeycomb presented in the original. 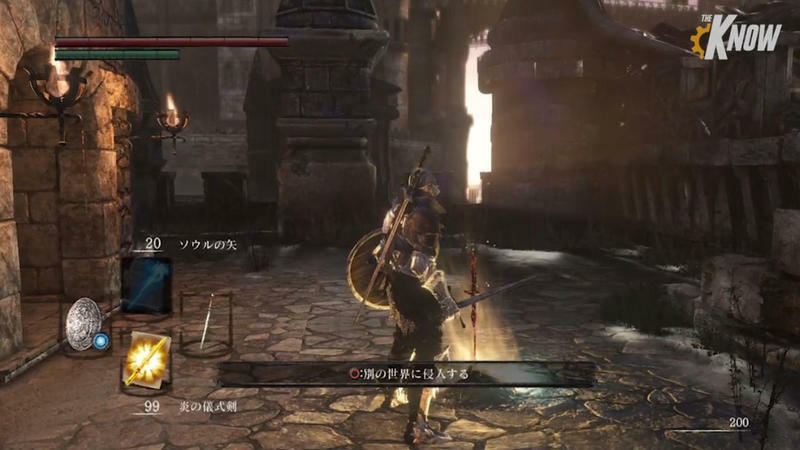 Miyazaki said that we can look forward to a more interconnected world, as that’s the type of game he prefers to make. 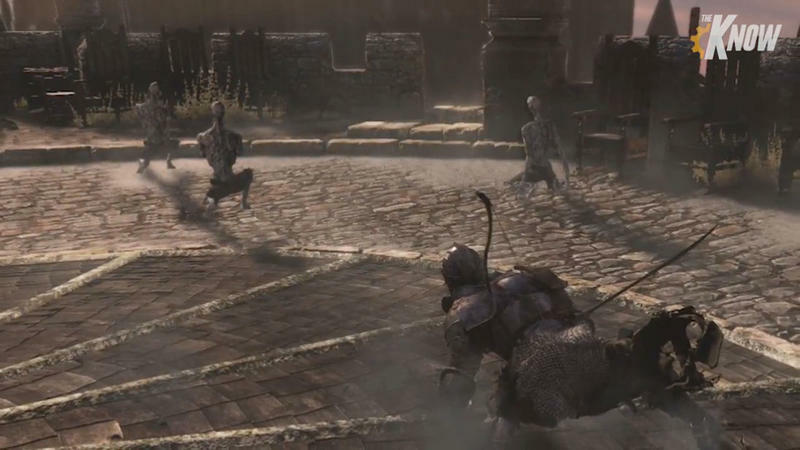 For combat, the demo focused on sword-and-board combat for the most part. 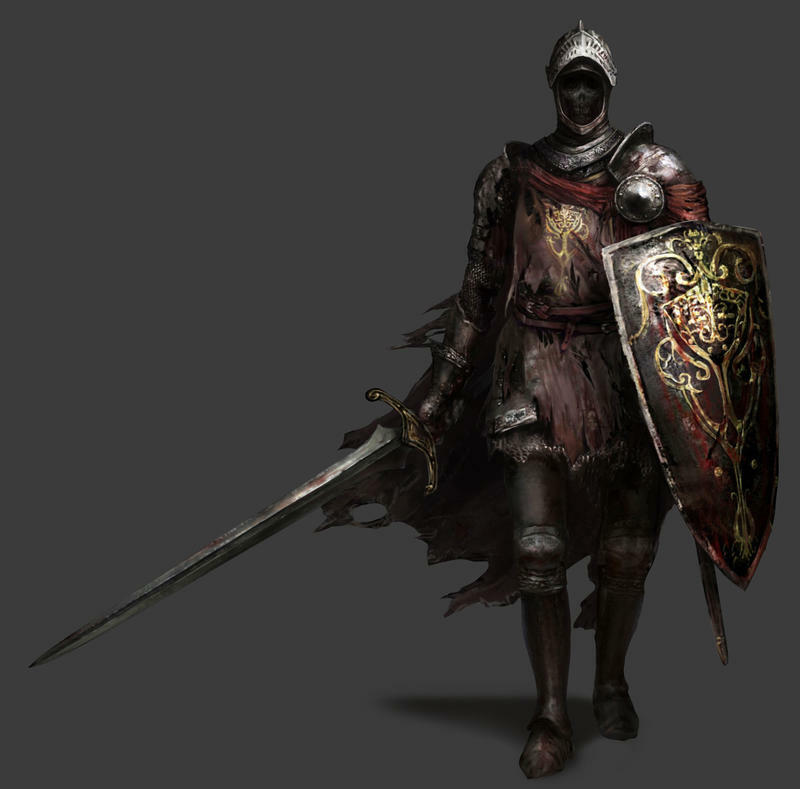 The player spent the vast majority of the time with a shield in the left hand and a one-handed longsword in the right. 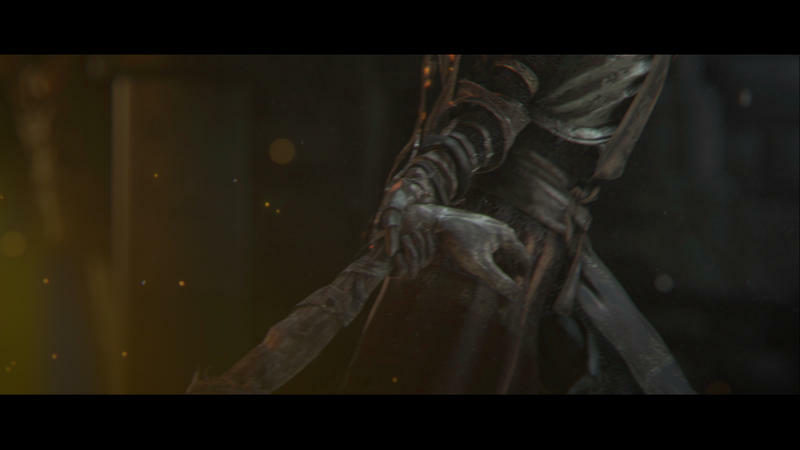 They also showed off wielding a two-handed greatsword and a pair of dual-wielded scimitars. 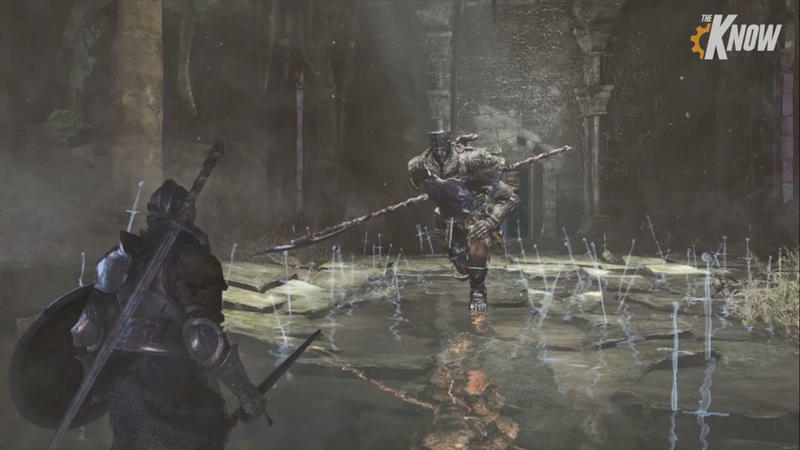 The combat in Dark Souls III was very much classic Dark Souls combat, with an emphasis placed on patience over speed. 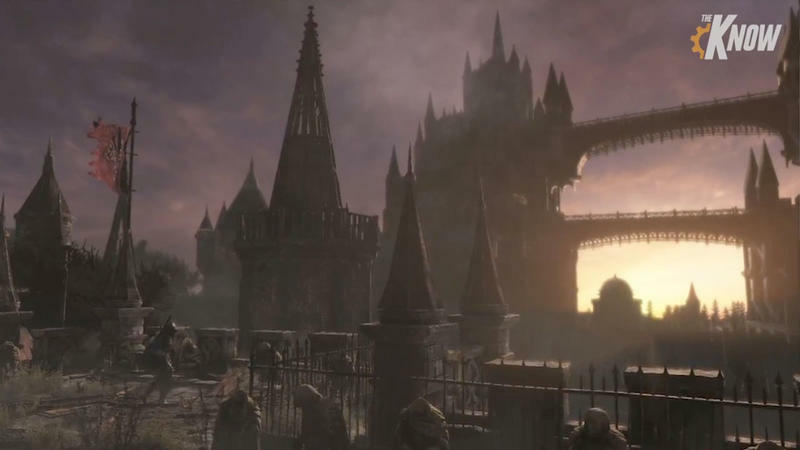 Any series fans worried that the direction of Bloodborne might be that of From’s combat games moving forward don’t have anything to worry about. 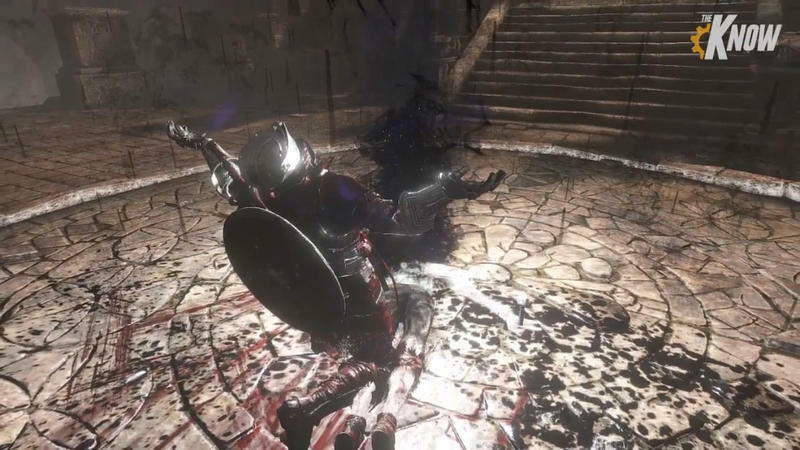 While the combat certainly feels a bit smoother and faster, it’s definitely Dark Souls and not the zippy dodging action of Bloodborne. 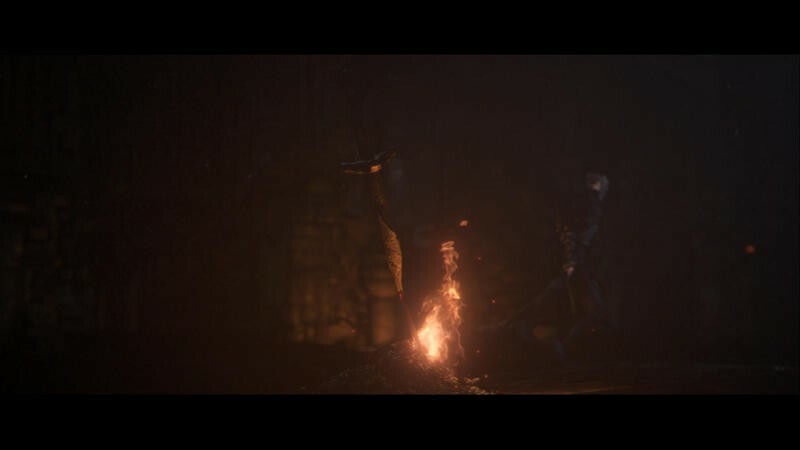 The biggest new addition to the combat that Miyazaki was ready to talk about is the Ready Stance. 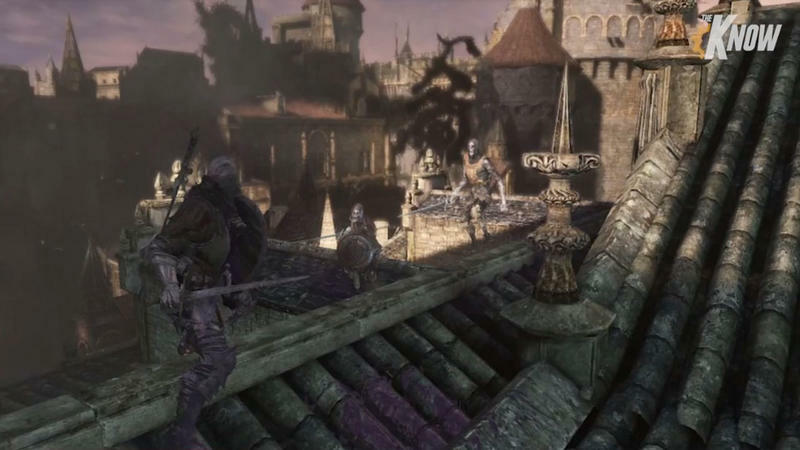 In short, the team is giving each weapon some special moves that take advantage of its strengths in combat. 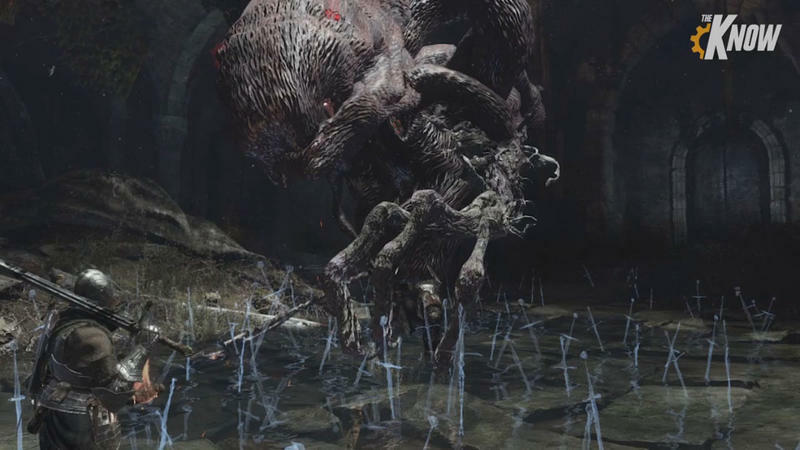 A longsword might be able to go around an annoying shield, while a greatsword has a high-risk high-reward lunge attack that can destroy even one of the fierce knights we saw. 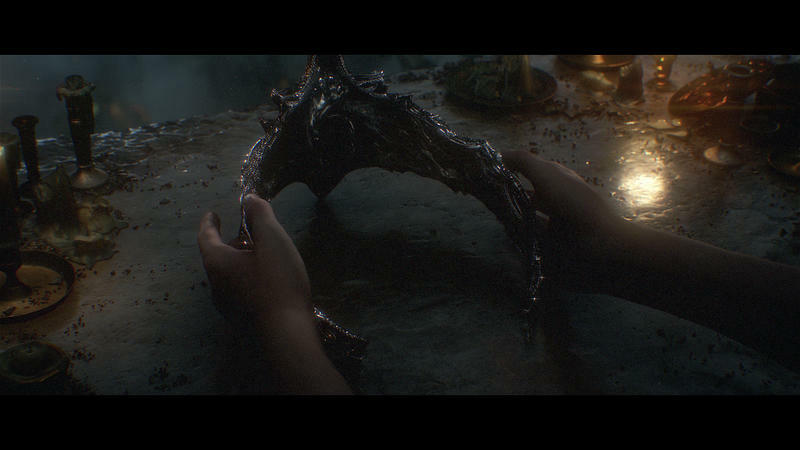 What we didn’t see today or get any information about was whether magic would be part of this world. 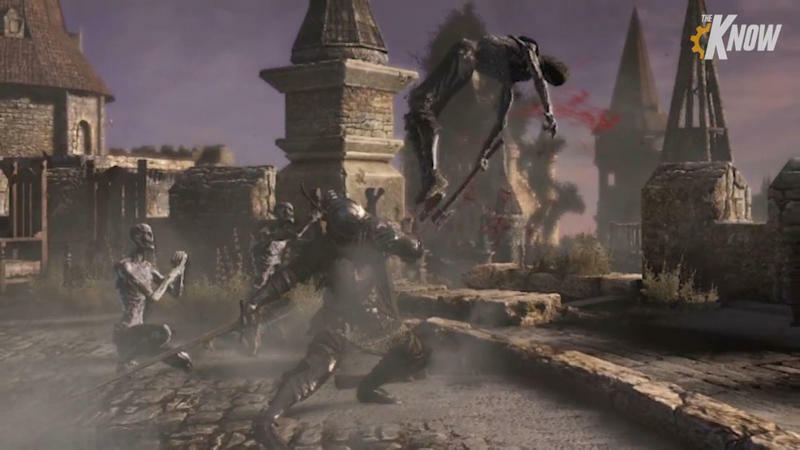 It’s been part of Dark Souls games past, but Miyazaki said that sword combat was something that received a lot of attention this time around. 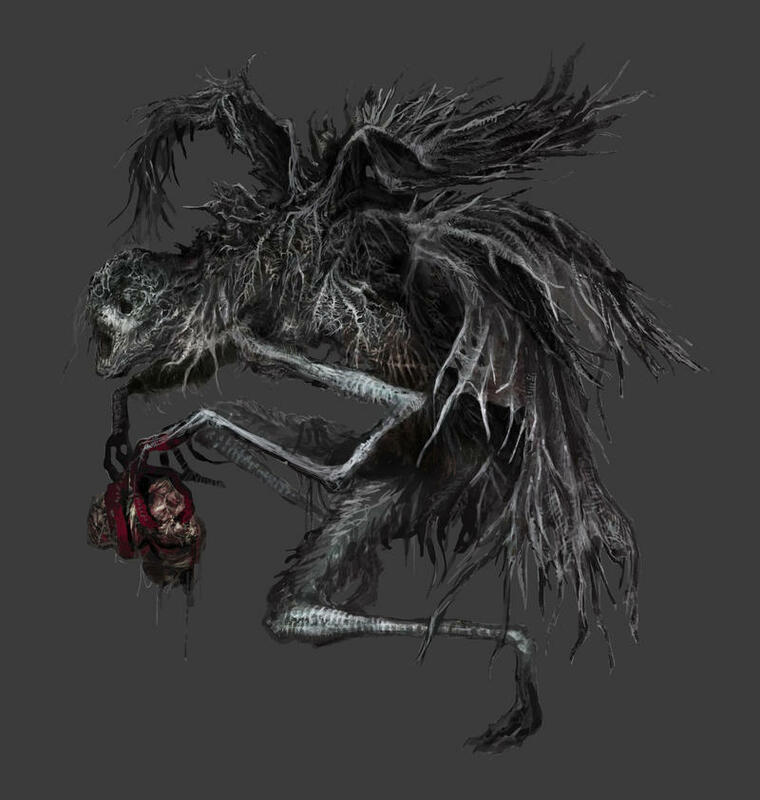 With that said, an emphasis was put on making an increased number of builds viable to the player, suggesting that magic is coming back around. Another element not on the plate for the presentation is how multiplayer would be handled. There will be signs, there will be summoning. That’s all Miyazaki had to say about it. We can’t wait to see what else the team has to say about the game as it heads toward a Spring 2016 release on PC, PlayStation 4, and Xbox One.